Godspeed messengers now deliver your Chrome messenger bag same day! 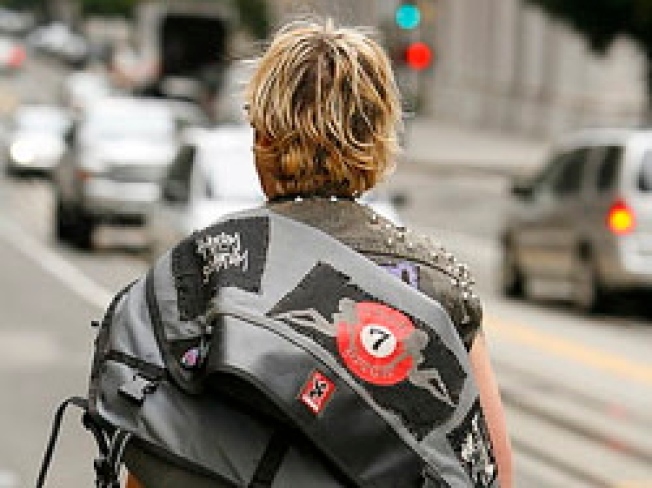 INSTANT MESSENGER:Chrome Bags is already rooted deeply in the local bicycle community, they even had a recent venture into women's pants, but soon they'll be spreading through SF at a viral pace. Starting Nov. 20, anyone buying a bag in San Francisco will get that bag same-day delivered by a hot and sweaty Godspeed Courier -- at no extra charge. Go ahead, get instantly graitifying messenger from a gorgeous messenger. PINK TREE: This gorgeous pair of earrings is fashioned out of the most organic material, wood. The Light Pink Flowered Teardrop Filigree by Sharma Designs has such an ornate, delicate look, it's hard to believe that they came from sturdy trees. To add to benefits, they're super lightweight to help prevent sensitive ears from irritating. THE REBIRTH OF YOUR SKIN: Oakland brings a unique product with only four simple, all-natural ingredients and ten times as many uses. The Ancient Treasure rejuvenating facial moisturizer gives skin a youthful and radiant glow, evens tone and even clears pimples and acne. FURNISH FOR CHEAP: Join Kendall Wilkinson Design & Home for the Designer Furniture Sample Sale this Saturday from 10 a.m. to 1 p.m. Home furnishings and accessories are up to 70% off at this blowout event! The craze takes place at the San Francisco Design Center.